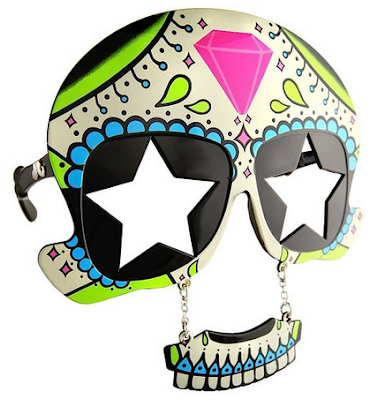 Skulls and Bacon: Sugar Skull Sunglasses with Mustache! Sugar Skull Sunglasses with Mustache! It's pretty silly but I like it.